While the Central leadership of the BJP has denied any attempt to topple the government, the state unit is not as disinterested. The seven-month-old Kumaraswamy government in Karnataka, which was formed with great fanfare of opposition unity, is facing a crisis after two Independent MLAs withdrew support on Tuesday amid reports that some ten Congress legislators might revolt. Then began the trading of charges of poaching by the ruling coalition and opposition BJP. The ruling Congress-JD (S) combine is shaky. The instability continues as the threat of BJP forming the government or imposition of President’s Rule before the Lok Sabha polls looms large. The government might collapse if not today but soon if Congress legislators continue to play truant and resign. The Congress-JD (S) combine is desperate to keep Karnataka while the BJP is trying to break the party and pull down the government. The BJP had made two attempts to destabilise the government and this is the third time that efforts are on. The whole thing started in December when the Congress decided to fill up the vacancies of six ministers, board and corporation members and political secretaries in the state and were unable to accommodate all aspirants, including two independent legislators H Nagesh and R Shankar. The crisis began on Tuesday. The scriptwriters of the present drama are chief minister Kumaraswamy, his predecessor Siddharamaiah from the Congress side and former BJP chief minister B.S.Yediyurappa. In a surprising move last week, the BJP brought all its 100 and odd legislators to a resort near Delhi. The Congress, on the other hand rounded up its 76 MLAs and kept them at a resort near Bangalore. As a result, Karnataka is going through its worst ever resort politics. Money is playing an ugly role in the purchase of legislators. It is Congress MLAs with the covert support of the BJP who are trying to topple the government now. The people of the state are watching the drama helplessly as it is being played out in resorts. Why has this state of affairs been reached when the coalition was formed only last year between the Congress and the JD (S) to stop the BJP, which emerged as the single largest party, from coming to power? As a BJP leader claims, it is an unnatural coalition as the bigger party with 80 MLAs was supporting the minor partner JD (S) with 37 MLAs. Secondly, though at the top level there is some understanding, at the ground level there is no unity in the coalition. There is no trust between the two partners as even the Chief Minister said some time ago that the Congress leaders treated him like their subordinate. This was because the two parties had fought the Assembly polls as rivals. It is naturally difficult for workers to understand the new situation. Thirdly, there is some internal problem within the Congress due to a power struggle. Though there have been murmurs within the two parties at the way the coalition functioned, Deputy chief minister Parameshwara has now blamed Congress leaders Siddharamaiah and D K Shivakumar for the crisis. It was their internal power struggle which emboldened the BJP to step in and poach on the legislators. According to insiders, the two factions led by former chief minister Siddharamaiah and present minister Shivakumar, are fighting for space. The fourth is the danger from outside. The BJP has not been able to tolerate the new government in the state when the party emerged as the single largest in last year’s election. Therefore it is alleged that it was involved in ‘Operation Lotus’ to topple the Kumaraswamy government. Fifthly, it is being alleged that the BJP wants to cut the financial lifeline of the Congress before the 2019 Lok Sabha polls. Karnataka is one of the states from where the Congress could collect its poll funds, as the state is cash rich. The instability is therefore inbuilt for the present government. While the Central leadership of the BJP has denied any attempt to topple the government, the state unit is not as disinterested. Interestingly, the BJP is willing to form a government with the JD (S) as its main objective is to unseat the Congress. Senior BJP leader Murlidhar Rao says they are waiting and watching the developments. “One is clear number and the second is unnatural relationship. It will get resolved in the natural course. Congress cannot survive after parliament. When it will fall I do not know. It is the hanging fruit.” The BJP claims they had to keep the MLAs in a resort near Delhi because of the fear of poaching from the other side. Karnataka has always been known for factional fights and horse-trading. 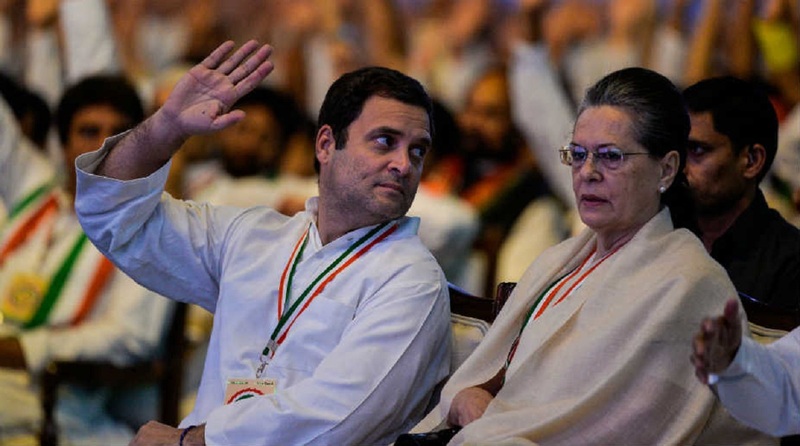 How long the present crisis will continue depends on the lure of money for Congress legislators and the withstanding power of the Congress party. Going by present trends, the resort politics may continue for some time.